SMASHmas has begun, but with a lot of changes this year. First off, is there no longer a War Meter, as they have caused issues in the past. War Meters will now only be used for special War events. Next year, the Main Street maps (East and West) will be updated with a setup like the Yergen Sewer Event (the map changes once you are on a quest). Some new items are already in the shop with much more coming later today. The rest are coming this Friday (and weekend). AE Staff were off Tuesday and Thursday for the Holiday season, but the Canadian staff are also off on Thursday (Boxing Day). To all I wish a safe Holiday season. With all the snow storms, we need to be extra careful. Be a true hero and help those in need of help. Liberty Square map was changed from 'liberty' to 'libertysquare'. Map pads have also been updated. This is a part of the ongoing map changes and fixes. Many have asked that items in promo badges be SC. This will no longer be the case (older SC items will remain as is), since once you unlock a promo/shop badge you can always get your items again if you accidently sold them. We are also happy to say that while some artists are longer with us, some have returned. This keeps the number of artists at a needed level. We will post when and if we need more artists and writers here and on the forums. Questions about account issues DO NOT go on Twitter. I use Twitter to keep players updated. 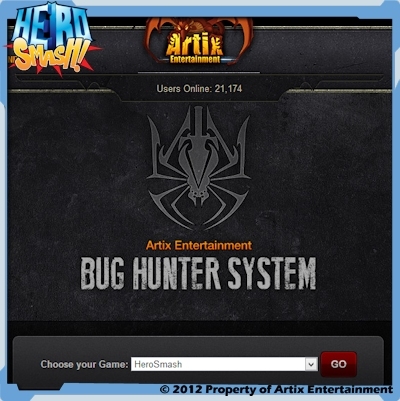 You can find help here http://portal.battleon.com/help/ and info on the HS homepage. New Years is coming next! After that, we focus on getting a new area done and updating older out of date maps. 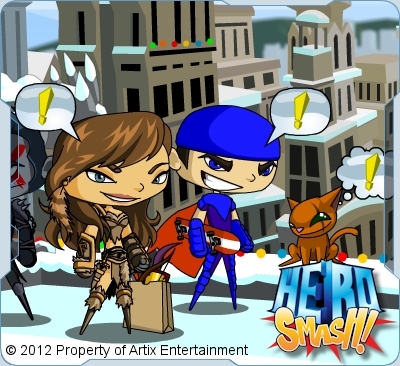 So stay safe and Happy Holidays from all of us at AE and the HeroSmash team! We're aiming for Monday to release SMASHmas! Artwork is still flowing while gift making E.L.F.s are working overtime. Unlike humans, the E.L.F.s (Engineered Life Forms) are genetically engineered for labor. Sadly, they are often mistreated and for long time have secretly (not to the MARShals!) been planning to take over the world. Who's not trying to take it over? Once again, Major Yergen hopes you all can keep SMASHmas a safe holiday from Doodie the Dark Elf. 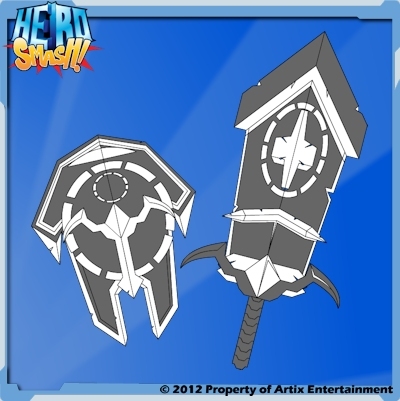 Until then, we're adding a new Irony Mark III Helm and Armor to the cosplay shop! As we count down to the New Year, I hope all are having a wonderful holiday season. This week is Smashmas! Er... Smashing Season? How do you make a new word from Winter and Smashmas? Anyways, on with the Design Notes! This week, we're running one last test of the Smashmas War. 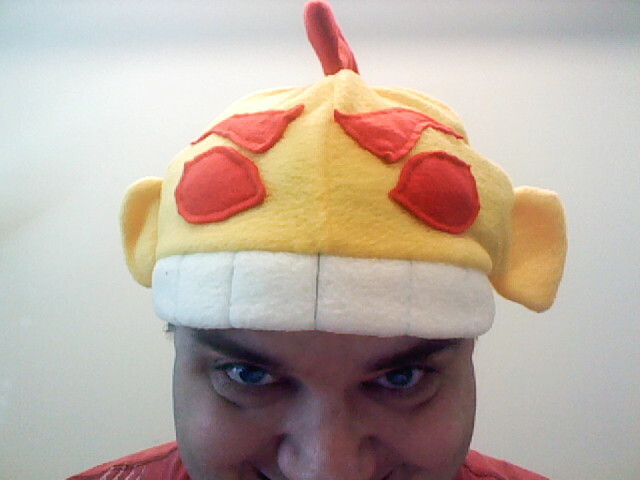 Wonderp Bread created a new monster AND a rare set! The drop rate is much lower than before, because you guys are WAY too good at finding them lightning-fast! (Must be those superpowers you unlocked!) This test will help us balance the new monster and give Wonderp Bread a chance to flex his monster-crafting muscles (so beware... monster size and animation may change slightly as he tweaks them)! Next week is Hero's Heart Day! All's fair in love and war, but how fair will YOU fight your battles? Have a great weekend, Smashers! 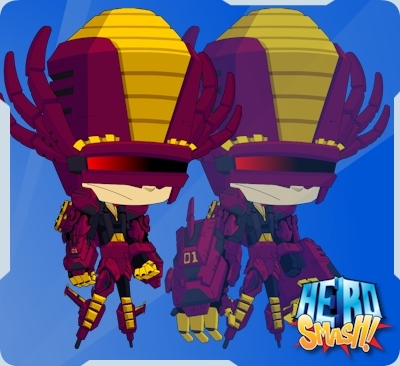 Just like we continue to do in Beta, HeroSmash keeps getting improvements! This time, it's the Smashmas war! Merging old and new maps required us to re-code some parts of the map, but thanks to Dumoose and Llussion's code mastery, we're ready to release! Instead of only one side (Good or Evil) winning this war, both will have to work together! Heroes need to protect the city while you Villains want something to rule! We learned from the Ebilcorp war that you all just love war, so this should be an epic one! This Battle Poll features two of our artists going head to head, skill to skill! 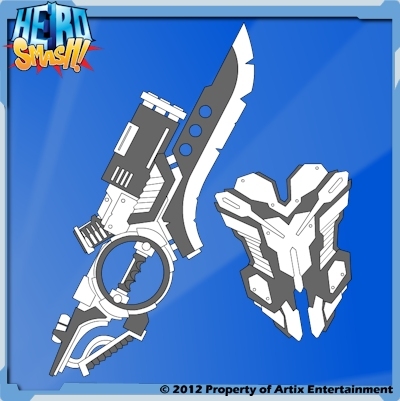 Postmaster General and Polistar have created artwork (only the winning item will be finished) consisting of a weapon and shield! Starting to look like Smashmas! Today we updated Overlook with Smashmas snow. Also, Faith has added a shop for the "Are You Yeti?" t-shirt (HeroMart promotion item www.HeroMart.com), the Yeti Head Morph! We are currently in the middle bringing Smashmas up to date with changes to the game over the past year. Still a lot to do, but soon as its ready we will let you know. One big change is the Upgrade and Get Smash Coins buttons are now gold and silver in color to stand out more from the general buttons on the pop-out menu. Work is still ongoing to bring to you more new content. There still is some bugs that need to be dealt with before we move forward. Our goal has always been the same, to make HeroSmash fun and great for everyone. Originally for this week we wanted to release once again Smashmas PvP zones. 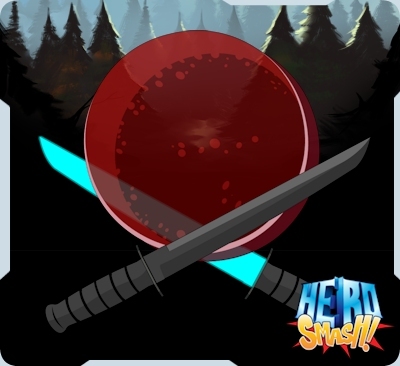 Instead will be release later permantly to Smashdome giving more choices of places to battle! but the main menu needs to be redone to make room for the extra buttons. 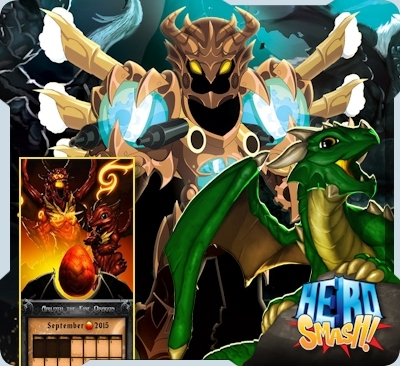 The HeroSmash Wiki (http://hswiki.wikidot.com) team continues to work hard to keep up with the changes. If you can help the Wiki team out that would be really awesome. Changes are to be expected in Beta as we work to put finishing touches on old areas and work on new areas and storyline ideas. Have a Merry Smashmas my friends!